Glasgow’s Lucia today reveal their first new music of 2019 in the shape of their new single Blueheart, out today via Sweet Jane Recordings. The track was once again produced by Jim Abbiss who has previously worked with the likes of Arctic Monkeys and Adele. Listen here. The new single follows on from the debut EP Cheap Talk which was released in November of last year. The EP includes acclaimed single Summertime as well as the title track and has amassed over a million streams on Spotify since its release. The band, fronted by Lucia Fairfull, has played nearly 100 gigs over the course of 2018 including festival appearances at SXSW, Latitude, and TRNSMT among others as well as support tours with We Are Scientists and Estrons. 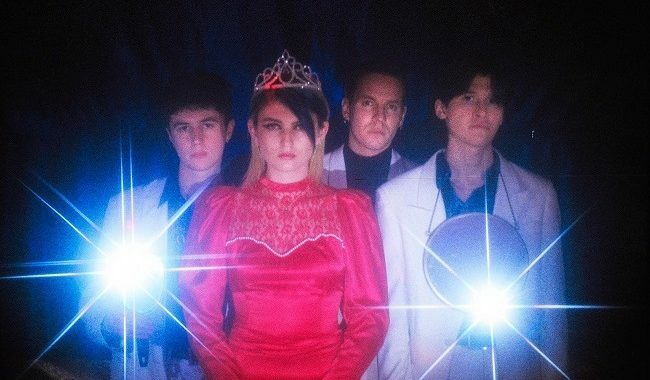 Showing no signs of slowing down, the four piece have already been confirmed for this year’s Radar Festival, SXSW, Hit The North, The Great Escape. On top of that, they will be supporting Marsicans on Abbie McCarthy’s Good Karma Club tour in April. All dates and ticket links can be found below. Blueheart is available via all digital retailers.